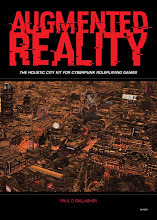 "At first glance Augmented Reality is a city kit resource for the lazy GM. Spend some time with it though and you realise that's actually an unfair image - it’s a resource that could be your best friend in a tight corner. 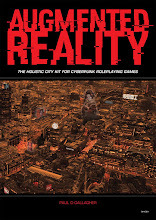 For example the tables could be used to pre-generate a city block/Johnson/encounter for later use or used to quickly improvise an area/job/encounter if the game is going in unexpected directions or beginning to flag." "… I can’t see them being as useful in the book unless you are willing to weigh them down flat. As the printed version doesn’t come with a pdf file as well then you are left with photocopying pages or buying the pdf. This seems a bit mean but as there are only three of these grids I’m okay with photocopying them." 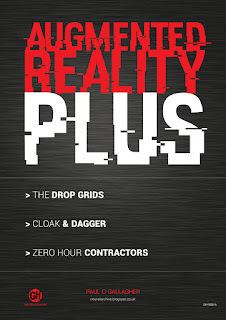 So, I have decided to make the grids available for FREE on DriveThruRPG for those that want them - both variants are included, as well as a little bonus content in the form of this blog's Cloak and Dagger (tidied up and presented in Augmented Reality table style) and the expanded Gig Economy article, which relates directly to the original book. Yer a diamond geezer Guv'nor! There's also a positive review on Drive Thru (wasn't me as I used Lulu and thus can't review on DRRPG). I will say all positive reviews are well deserved. Many could say "I could have put those tables together". Maybe, but you didn't. There's a lot of work in that document and I, for one, am very grateful. The "pay what you want" price is stupidly cheap for what you get. It's a no brainer. Go buy it. 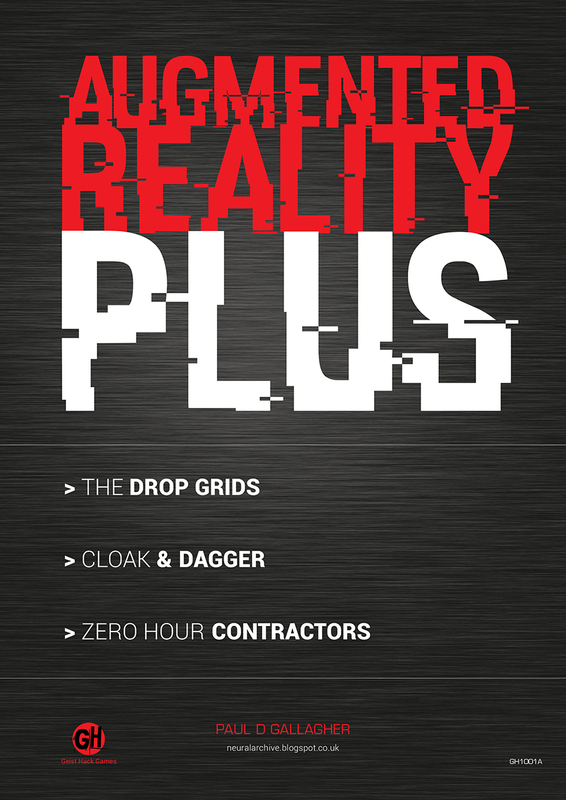 One of the latest hypes in today's technological world is augmented reality. As the name implies, this is one kind of technology that alters reality through superimposition of images that are digitally generated onto the actual environment.